Who says that traveling in group is uncomfortable? 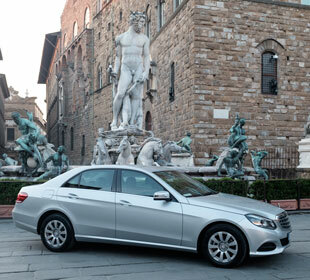 Choose our van rental with driver in Florence and you will get the maximum space combined with the highest level of comfort. 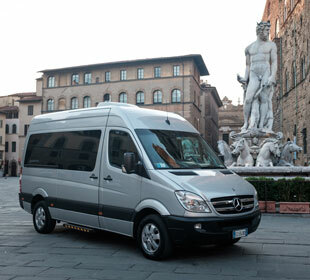 A simple transfer will become an opportunity for discovery and fun, almost like a real tour of Tuscany. For the van rental with driver, in the same way as for the tours that we propose, we rely on the elegance of Mercedes vehicles, for their family feeling, for the ability to turn a small trip to an occasion for recreation and entertainment. 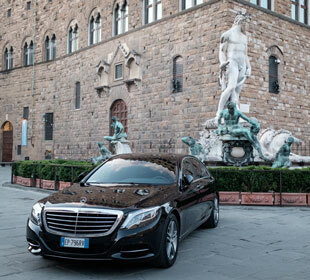 Our mission is to transport people with style and extreme prestige, satisfying any needs. 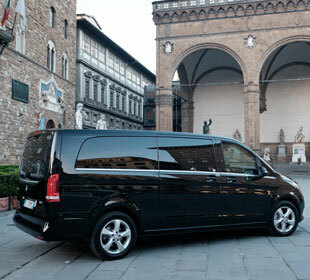 The transfers that we offer are not usual moves, but tailor made services, designed on the needs of our customers. Please contact us (or call the desk of Coave Luxury Travel Service at the airport Amerigo Vespucci) to forward any request: we will find the most timely, practical and satisfactory solution. On board you will find only qualified English speaking drivers, your guides. If you want you can book your personal assistant too (see concierge).